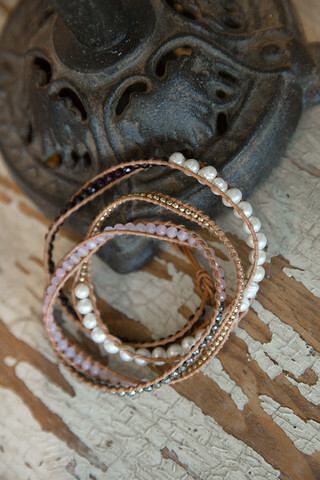 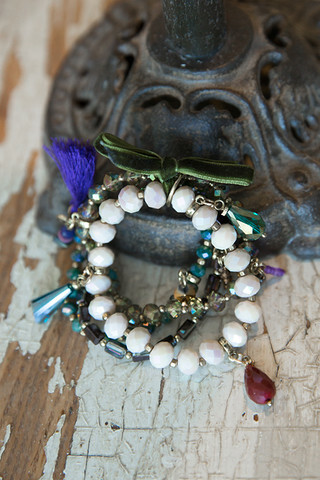 The Oh La La Wrap Bracelet is a beautiful blend of pretty pink pearls and an iridescent blue bead that is cut to catch the light for a little extra sparkle. 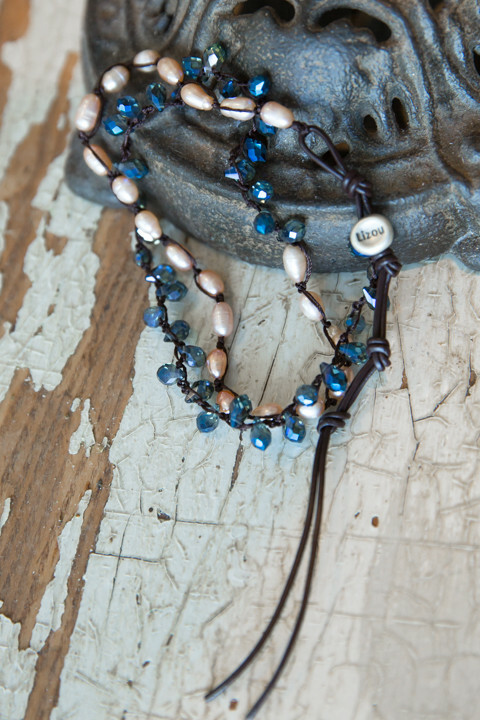 This wrap bracelet can be adjusted to three different lengths and has a leather and silver bead fastener. 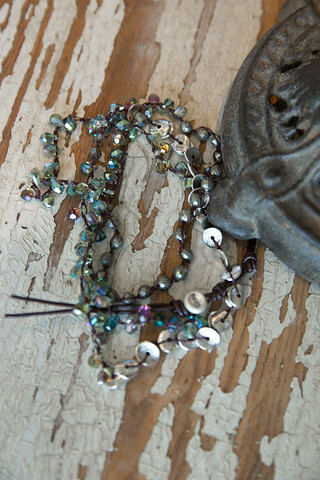 Made in Nevada City, CA by The Lizou Collection.